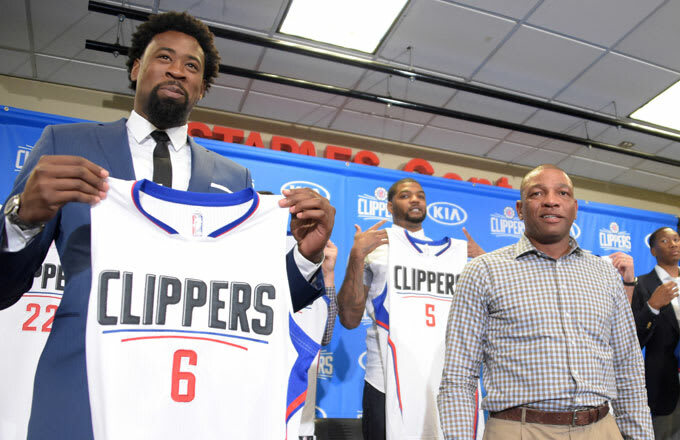 Despite initially agreeing to join the Mavericks, DeAndre Jordan was having second thoughts. You probably figured as much when you heard he re-signed with the Clippers. That&apos;s old news at this point, and so is the drama that surrounded the most interesting indecision of 2015 NBA free agency. Or we should say most of the drama is over, because today we learned how Jordan ended up getting the word to his old coach that he actually wanted to stay in L.A.
Of all the calls/messages that you&apos;ve probably failed to relay to your parents, this would seem to be a pretty important one. Luckily (for Clippers fans) young Rivers made a note of it, and the rest is history. The only thing that would&apos;ve made it more ridiculous is if DeAndre and Spencer had been using Cyber Dust instead.